Below you can view all the homes for sale in the Iron Mountain Ranch subdivision located in Las Vegas Nevada. Listings in Iron Mountain Ranch are updated daily from data we receive from the Las Vegas multiple listing service. To learn more about any of these homes or to receive custom notifications when a new property is listed for sale in Iron Mountain Ranch, give us a call at 702-323-5963. Most bedrms have ceiling fans & walk ins. A Real Jewel! MLS#2090250. Horizon Realty Group. So fresh and so clean! Super size/price! MLS#2086830. Realty ONE Group, Inc. Features Include An Open Family Room Good For Entertaining, Beautiful, Eat-in Kitchen Complete W/ Granite Counters & Pantry, Large Master With 2 Walk-in Closets & Dual Sinks, Spacious Den That Could Be Used As A 3rd Bedroom, Newer Water Heater, New Water Softener, Privacy Curtains & The Great Backyard Has A Covered Patio, Low Maintenance Landscaping, And You Have Easy Access To The I-215. Wow! MLS#2088145. BHHS Nevada Properties. With Too Many Upgrades To List, You Don"t Want To Mss This One! MLS#2086529. Elite Realty. Wont Last Long*immaculate Home*mrs Clean Lives Here*3 Lrg Bedrooms*2.5 Baths + Lrg Loft* Laminate Wood Flooring Downstairs*carpet Upstairs In All Bedrooms & Loft*master Bed Has Walk In Closet W/Custom Built Ins*ceiling Fans Thru Out*kitchen W/Black Granite Counters*custom Back Splash*top Of The Line Stainless Steel Appliances*formal Lv Room & Separate Family Room*entertainers Backyard*pool/Spa/Basket Ball Court/Bbq Area/Covered Patio*kool Deck* MLS#2086420. Premier Realty Group. Outdoor oasis with covered patio, sparkling pool w custom fencing. This one won't last! MLS#2085813. Icon Realty. Master suite boasts a walk in closet and bath w dual sinks MLS#2085773. RE/MAX Excellence. Low maintenance backyard with a sparkling blue pool surrounded by synthetic grass. MLS#2085672. Coldwell Banker Premier. Open floor plan with covered patio off of kitchen. MLS#2085530. SWG Realty Group. There Is A Great Balcony Off Of The Dining Room. All Appliances Included! MLS#2085500. Premier Realty Group. Not A Short Sale!cc Ok! MLS#2085043. Realty ONE Group, Inc.
New Water Heater & Disposal Installed 2018. MLS#2084353. Resolution Realty. This stunning NW home has mountain views from every room upstairs & outside is just as amazing because it feels like you can touch the white caps.How does $15.00 electric bills sound w/solar that is paid off.Do you have an RV we have a clean out & 2 sets of RV gates one is electric.Plenty of room for your toys of any kind & tons of space left to build a pool.Private quarters above the 3 car detached garage (6 garages total).Bed & 3/4 bath down. MLS#2083834. Keller Williams Realty Las Vegas. Beautiful single story 3 bedroom 2 bath home. A MUST SEE! ! MLS#2084157. Pahrump Valley Properties LLC. This lovely 3 bedroom 2 bath house has an enclosed patio in the backyard, open kitchen with lots of cabinets, with extra storage in the garage. MLS#2084082. GTS Properties. Grand Entry, Formal Living & Dining, Fabulous Family Rm Down W/Fireplace, Butler's Pantry, Kitchen W/Granite Counters Tops, Lrg Master Suite W/En Suite, Loft Or 2nd Family Rm Upstairs, 3 Lrg Secondary Bedrooms Up & 1 Lrg Bedroom Down, Pool Sized Backyard For Hrs Of Entertaining Or Relaxing This Spring, Oversized 2 Car Garage W/Storage Area & Many Extras. MLS#2083175. Realty ONE Group, Inc. Sprawling backyard with luxurious pool. Spacious loft on second floor. MLS#2082637. Simply Vegas. Parking RV behind side gate and at the End of cul-de-sac MLS#2082526. Realty ONE Group, Inc. Pool Size Yard. Close To Shopping, Parks & Schools. MLS#2081343. Genesis Realty Group. Buyer/Buyers agent to Verify all. Owner agent MLS#2081284. Urban Nest Realty. 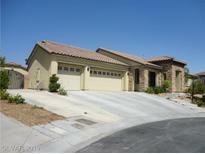 Just minutes from great shopping and the 215 freeway, this property has it all including location, location, location! MLS#2080524. Purplebricks Inc. Granite Countertops, Breakfast Bar, Walk-in & Butler’s Pantries, Double Staircase, Grand Foyer, Formal Dining & Living Rooms, Large Loft W/ Surround Sound, Ceiling Fans, Spacious Master Suite, Walk-in Closets, Heated Pool & Spa, Covered Patio W/ Built-in Bbq, .So Many Upgrades!! ! MLS#2078618. Pulse Realty Group LLC. Large 1st level family room w/3 beds off the side. MLS#2077330. Coldwell Banker Premier. PRICED TO SELL and MOVE IN READY! ! MLS#2078366. Maxim Properties.